Here in Spain I’ve been overwhelmed by the most delicious, passionate connection – not once, but twice. And, although he was with me both times, I’m reluctant to say the connection was not with my husband. Before you start thinking Jez and I have taken the opportunity to ‘experiment’ while abroad, I should clarify. The sources of these deep and beautiful connections were – how can I say it – well, buildings. Good old bricks and mortar (and arches and mosaic and stained glass and exposed steel and statues). 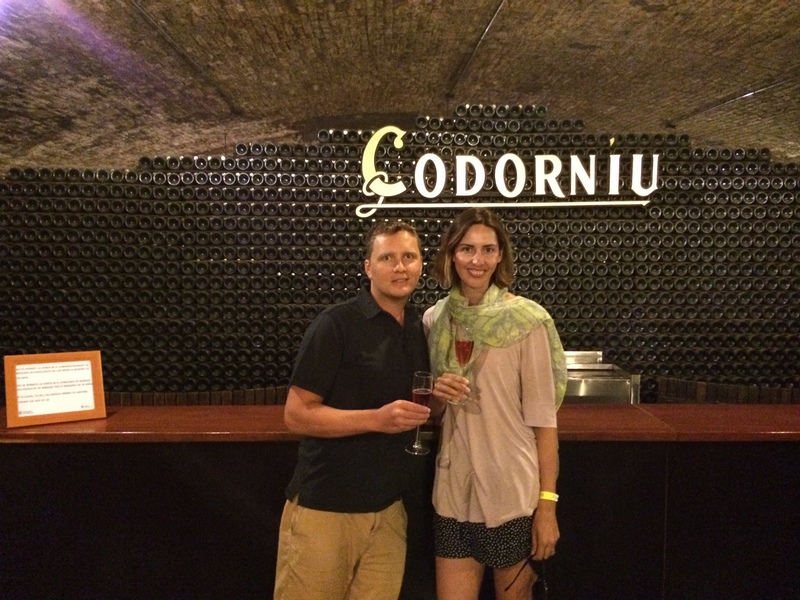 The first time it happened was standing in front of the glorious arches of Codorníu Winery’s cellars in Sant Sadurní d’Anoia– 45 minutes north west of Barcelona. The world seemed to open up and something changed within me. I don’t know if it was chemical or spiritual or even hormonal but this building did something to me. 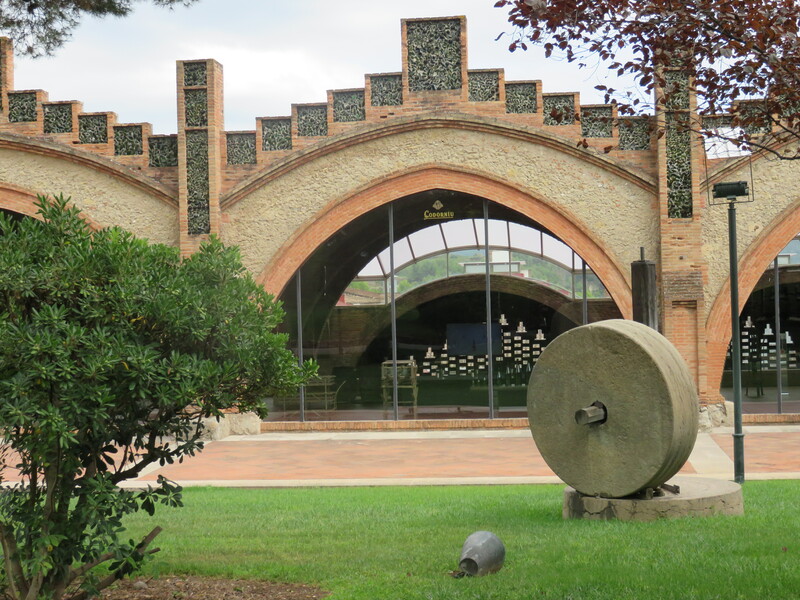 The Codorníu cellars were completed in 1915 and are the work of Modernist Catalan architect, politician and historian Josep Puig i Cadafalch; and the vision of Codorníu’s Manuel Raventós, who wanted to create a practical and lasting legacy. 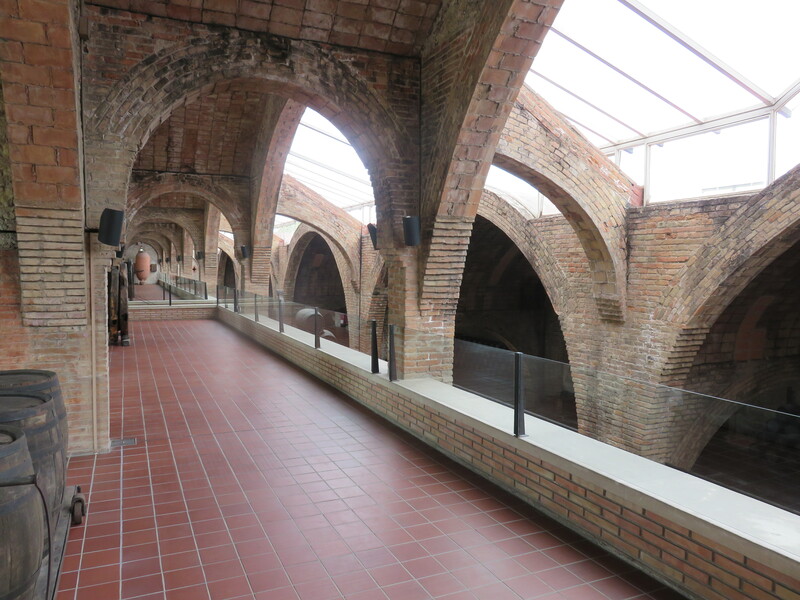 The building was thought OTT at the time – a muddle of modernism and neo-Gothicism – but in 1976 it was declared a National Historic Artistic Monument as a key example of Catalan Modernism. That’s what I call vision. 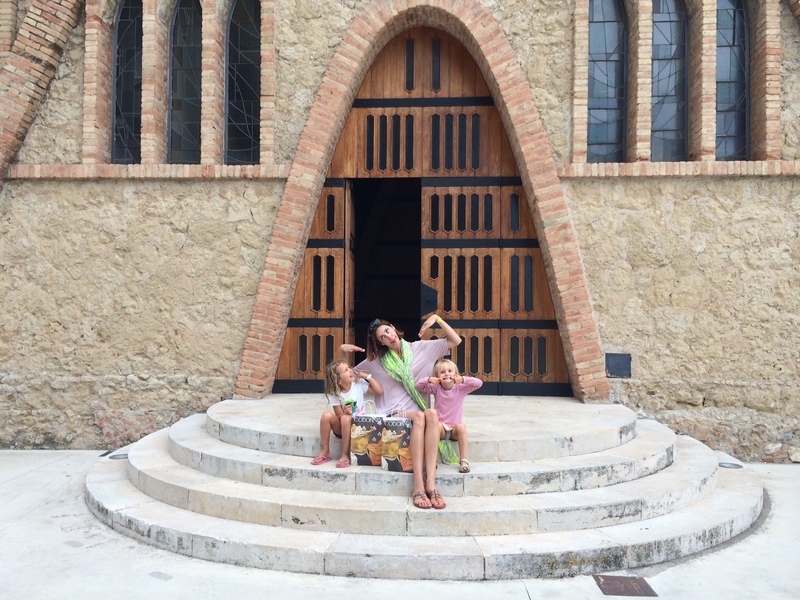 The second time it happened I was on a red sight-seeing bus in Barcelona (c’mon now – what would you do if you had one day in Barcelona and two pre-schoolers in tow?). Two hours in I was hot and bothered; Georgia was asleep on Jez’s lap and Hazel was moments away from combusting over the red commentary headphones. Quite frankly we were “bugger world architecture, take me to the hotel! On és l’aire condicionat? !” And then it happened. Through the trees I glimpsed something only the most genius of minds could have dreamed up, let alone convinced anyone to fund. Hand to chest, I was gasping. 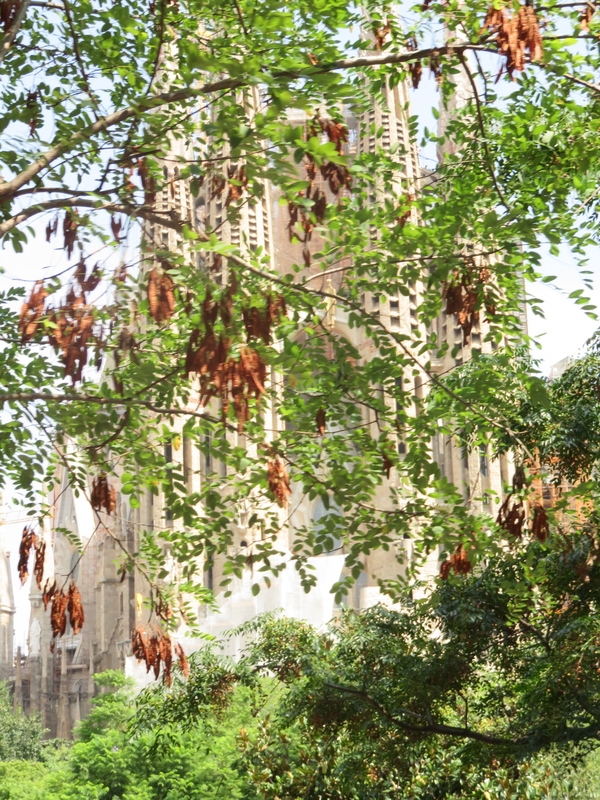 There in front of me was the oozing, turreted, material medley of Antoni Gaudi’s Sagrada Familia. It was incredible. Gaudi and Cadafalch were contemporaries but Gaudi surpassed him in the history books by going beyond Modernism and creating a unique personal style. 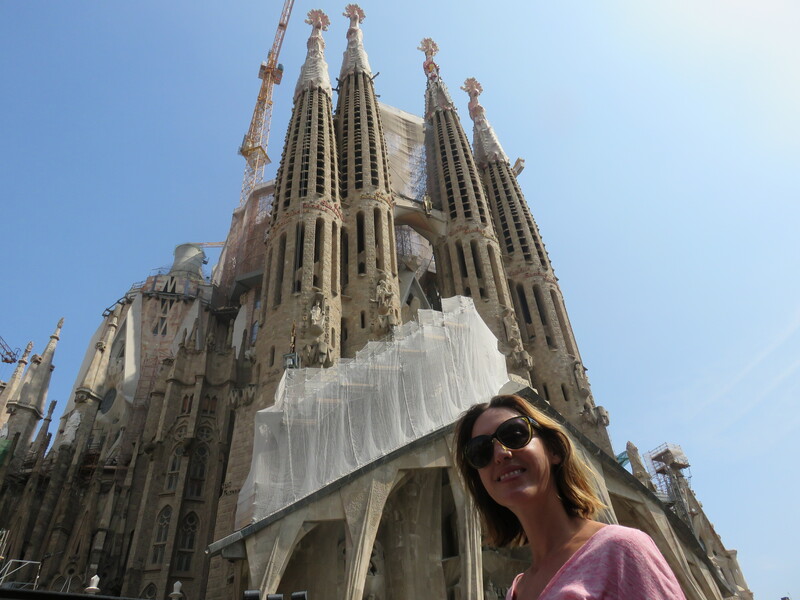 He became deeply religious later in life and the unfinished Sagrada Familia was his masterpiece. He knew it wouldn’t be completed in his lifetime but time ran out earlier than expected when he got squished by a tram in Barcelona in 1926 at the age of 75. Incredibly, the project continues today, funded by donations and entry fees. 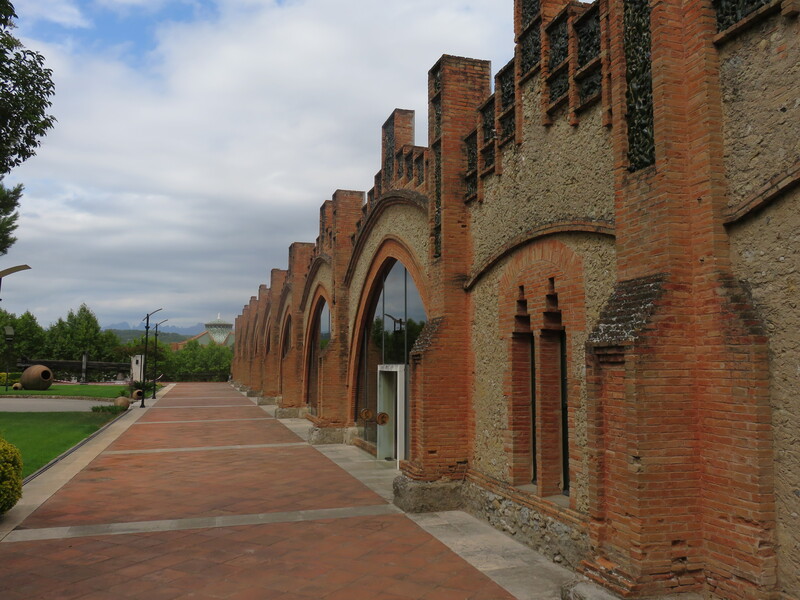 The reaction to Cordoníu and Sagrada Familia got me thinking about architecture as art. 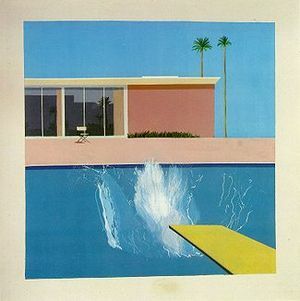 I reacted just as emotionally to Gaudi’s turrets in 2014 as I did to the splash of the unseen diver in David Hockney’s A Bigger Splash (1967) that I saw at Auckland Art Gallery in 2006. The main difference between art and architecture is that art has no responsibility to anyone whereas architecture – usually – has a responsibility to its physical context and its inhabitants. No one told Gaudi that. Art and architecture both have the capacity to make us feel good, or at least feel something. They both have the power to transform us in some way; simply being among beauty (or in the absence of beauty, pure creativity) makes us feel better, inspired and more creative. I for one will never be the same again after these thrilling Spanish liaisons. And dear husband, if you’re reading this, know that I adore you most. But my heart has been altered, just a little, by the creations of two brilliant men from last century. Thanks for the foursome.